For golfers in Middleburgh, Ohio looking for golf lessons, golf instruction, or custom golf club fitting, GOLFTEC Stonebrook is the answer. At our state-of-the-art Training Center you'll find all the tools you need to help you improve your golf game. Our Certified Personal Coaches have years of instructional experience and they use the latest golf technology to help players of any age or ability reach their goals. In addition, to all of our indoor services, we offer outdoor and on-course golf lessons at Springvale Golf Course and Pine Hills Golf Club. Whether you're looking to win your club championship or just getting started with the game, golf lessons with GOLFTEC Stonebrook is the perfect solution for you. GOLFTEC Stonebrook is conveniently located on Pearl Road just east of I-71 near the Middleburg Heights/Strongsville border, downstairs in the Stonebrook Driving Range. Stonebrook is located behind the Sunnyside Mitsubishi dealership at the intersection of Pearl Road and Fowles Road adjacent to Santo's and The Islander Grille. To find our Training Center coming from the south, take I-71 north toward Cleveland and take exit 234. Turn right onto Pearl Road and the facility will be on your right. A variety of golf lessons and Game Plans are available at GOLFTEC Stonebrook include In-Bay, On-Course, Short Game and Putting lessons. With a Game Plan, you receive sequential lessons that build on each milestone to build a better swing that can be comfortably repeated on the golf course. Every training bay at GOLFTEC Stonebrook includes interactive video, letting you see immediate replay of each swing from two directions simultaneously. This resource makes your practice sessions more productive and your improvement faster! TECFIT, GOLFTEC's tour-level club fitting system, provides a precise, unbiased fitting experience with our experienced and certified professionals in Middleburgh Heights, Ohio. The confidence gained by using properly fit equipment is another key to your golf success. Teaching, coaching, and playing golf have always been passions of mine. From competing on the collegiate and professional levels to teaching over 10,000 lessons, I continually strive to improve my abilities as a player and coach. With over 200 students who have shot career rounds, I look forward to working with you on your golf improvement. Chris spent over a decade playing professionally on the NGA Hooters Tour, Gateway Tour, E Golf Tour and others.. 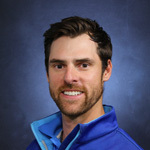 He has been working on his own game at GOLFTEC since 2007 as well as working with various PGA top 100 instructors. 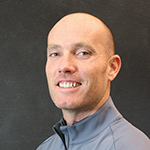 Chris believes in the importance of sound fundamentals, emotional intelligence, physical fitness and nutrition to optimize his students' golf games. Career low is 62. 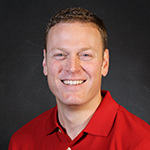 Ken's career in Education gives him a skill set suited for instruction of any kind, and an ability to communicate with players of all ability levels. He aims to use the Stonebrook facility to improve his players' performance, fitness, and confidence. Michael played collegiate golf at Point Park University and is a graduate of the Professional Golfers Career College. 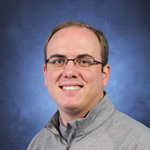 Michael served as Assistant Golf Professional at Barrington GC, Mirabel GC, and Sycamore Hills GC before joining GOLFTEC. In Michael's career, he has coached elite juniors & high school student athletes, and NCAA/NAIA student athletes. He taught over 2,000 lessons in his career. Joe is undoubtedly the best Coach I've ever worked with. His knowledge of the swing and teaching application is changing my golf game for the better. The coaching is fantastic. Brett made me feel right at home and I can't thank him enough for his support! GOLFTEC visually shows you rather than telling you what to do. Coaches encouragetheir students and show you lesson-to-lesson how to improve.